Large breaded pork cutlet served with serrano chili cream gravy, garlic mashed potaotes and secret weapon grilled vegetables. Pan-seared red snapper topped with salsa roja on a bed of roasted summer vegetables with secret weapon sauce and garlic mashed potatoes. Fresh kalbi marinated seared cauliflower grilled until tender and served on a bed of greens. Finished with Ken’s Boom Boom Sauce and cilantro. A healthy, kid-friendly alternative to traditional “fried” potatoes, Tasty Tots are a combination of sweet potatoes, garbanzo beans and cinnamon that come together to form a unique, delicious dish. A great addition to any menu! All natural white meat chicken, served on a sun dried tomato wrap, topped with fresh arugula with a side of fresh, seasonal fruit. Create comfort food on the quick with buttery biscuits, fresh chicken and a vegetable medley baked in a creamy base. An easy alternative to more elaborate chicken pot pies, with only 5 ingredients this dish is a quick win. This colorful, whole-wheat pasta dish is accented with grape tomatoes and Swiss chard, and delicately flavored with basil and garlic. Students will love this fresh oodly-noodly delight. Students will go crazy over this healthier take on the classic chicken Parmesan dish. Loaded with flavor filled vegetables, and topped off using a savory marinara sauce, this dish is a budget friendly way to spice up your menu. A fresh and fiery side with a hint of garlic! 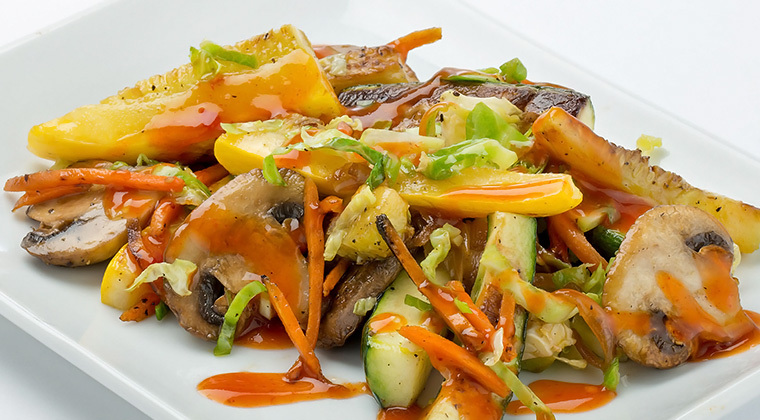 This upscale vegetable medley pleases with a kick of Sriracha glaze. Featuring a trendy ingredient, it’s quickly prepared fresh and reads great on menus or specials board. 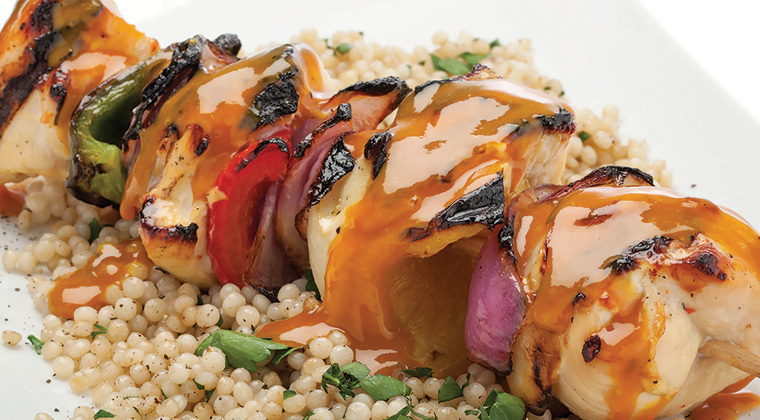 Perfect as a side or in a spicy vegetarian dish with mixed rice or quinoa blend. A vegetarian option that carnivores will crave too! Give your customers a bold ‘n toasty sandwich unlike any other with a helping kick from Ken’s! 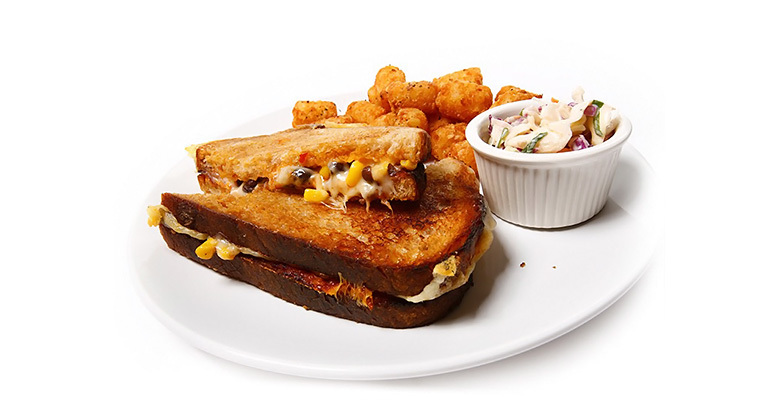 In this simple masterpiece Boom Boom Sauce and black bean corn salsa meet up for a grilled cheese that has serious Southwestern flair! Episode 18 – 12 New Products, New England Produce News, Veggie Perceptions, There’s Coffee in the Cocktails, and More! In this weeks episode of Dennis Knows Food we focus some of the spotlight on New England, with 3 of our 12 latest inventory additions coming from right here in Maine. We’re also putting some emphasis on produce, with Chris Webster, one of our Dennis Account Executives joining us for a discussion on “veggie perceptions.” Heating up alcohol sales with cold brew coffee and more! Episode 11 – Food Show Recap, New Products, Frozen Veggies and Big Brother is… Fishing? It been a busy week! We’re doing our Podcast a day later than normal to allow for a little catch-up after our Food Show on Tuesday. This week we’ve got 5 new items to share, we revisit the discussion on sports drinks from last weeks podcast, highlight a new study on frozen vegetables and more.